For its 67th season that begins this fall, Tri-Cities Opera is determined to freshen things up a bit — and a few of the changes are starting now. During a press event Tuesday at the Tri-Cities Opera Center on Clinton Street in Binghamton, Susan S. Ashbaker, the company’s general director, unveiled a new logo and website. But the biggest difference will be how the season is structured and where the performances will take place. Bookended by what Ashbaker jokingly called “the good barber and the bad barber,” the 2015-16 offerings will begin with Rossini’s classic “The Barber of Seville” on Oct. 23 and 25 and end with the bloody Stephen Sondheim musical “Sweeney Todd: The Demon Barber of Fleet Street” on April 29 and May 1, 2016. Both will be presented at the Forum. 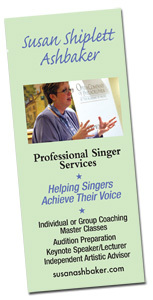 The 66 year-old opera company and singer training program unveiled a new logo and freshly redesigned website Tuesday. It also released its schedule for next season with a slight change in venues and the type of performances it will stage. The season will begin with Rossini’s “The Barber of Seville” in October and also feature a musical, Sondheim’s “Sweeney Todd” next April. Tri-Cities Opera Center is getting a makeover. The 66-year-old company made changes to help serve its audience in a more modern way. The opera house unveiled its brand new website and logo on Tuesday. General Director Susan Ashbaker decided to split the audience to make it more of a family fun event, allowing Twitter users to ‘tweet’ during live performances. Read the full story on the WBNG website. (from the Tri-Cities Opera Board release) Thursday, July 24, 2014 at 10:00am, you’re invited to the Clinton Street Opera Center, Binghamton, NY, as members of the Tri-Cities Opera Board of Directors introduce our new General Director, Ms. Susan Ashbaker. Additionally, we will announce our incoming Resident Artist roster, and other details of our 2014-2015 Season of REVENGE… REVELRY… REDEMPTION! 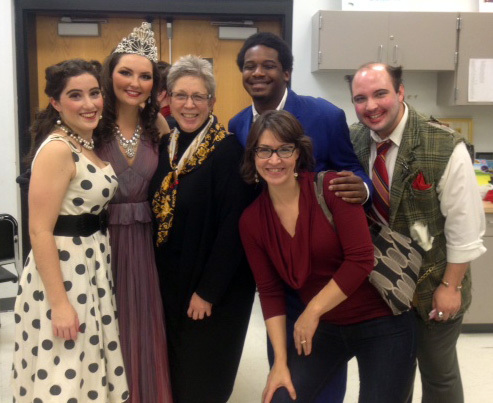 Ms. Ashbaker comes to TCO with a wealth of experience on both sides of the opera and music industry. An author and lecturer, she has also served as Executive Director, Director of Artistic and Music Administration, Vocal Coach, Master Class Presenter, Collaborative Pianist, and Singer Advocate. She has been a frequent judge for the Metropolitan Opera National Council Auditions. 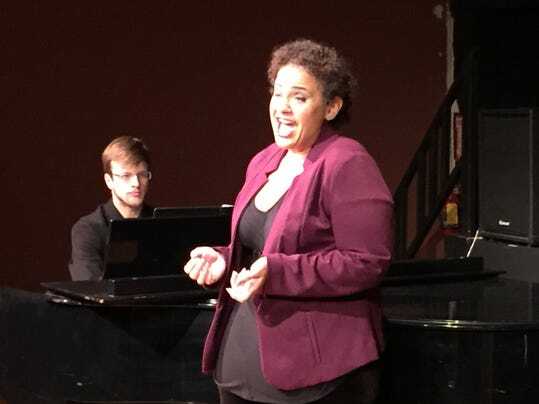 Ms. Ashbaker was affiliated with the Opera Company of Philadelphia for 16 years leading the casting practices and identifying and offering opportunities to young singers. She also worked as assistant conductor and vocal coach with the New York City Opera, European Center for Opera and Vocal Arts (Belgium), New Israeli Vocal Arts Institute, International Vocal Arts Institute in Montreal, Theater am Goetheplatz (Bremen, Germany), and the Academy of Vocal Arts. Don’t forget to join us at the opera center, 315 Clinton Street, Binghamton, NY on Thursday, July 24th at 10:00am! I’m pleased to join Opera America in New York City on October 9 as one of the panelists for their Feedback Auditions, held in the Audition/Recital Hall at their National Opera Center. I will be joined by colleagues Vanessa Uzan, Artist Manager, Uzan International Artists, Mark Moorman, Pianist, Coach, Artistic Administrator of Crested Butte Music Festival, and Djordje Nesic, Pianist/Coach. If you are not a member of Opera America, check out their website and consider joining. It’s a terrific organization with lots of networking benefits. If you are a member, you know exactly what I mean! Their one-year old National Opera Center has rooms to rent for warm up, auditions, as well as a number of other services. I like to consider Manhattan an extremely northern suburb of Philadelphia. Whether driving or taking the train or bus, it’s an easy “commute”! Hope to see you there.